Most of the stories are no longer than a page, but their details leave lasting impressions. “Michael Anthony Dahl Jr. was a shy guy, but he never stopped learning and caring for others. He was never satisfied with a surface understanding of a thing and dedicated his life to learning more about the subjects he was passionate about,” wrote Nicholas Delgado, a student at Highland Academy Charter School in Beaumont. 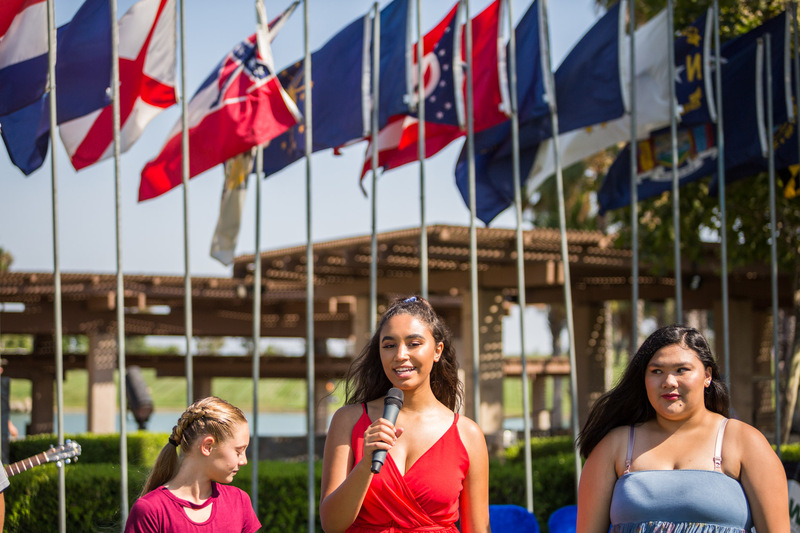 In 2018, Delgado became one of 2,000 Inland Empire K-12 students to participate in the pilot year of a federally funded initiative to document the stories of veterans and others interred at Riverside National Cemetery. Dahl Jr., a Beaumont native who deployed to Iraq in 2007, was killed in 2009 when the tank he was driving hit a roadside bomb. Before that, he was a lifelong music lover who started taking Arabic classes after he found out about his deployment, Delgado wrote; he’s now buried at Riverside National Cemetery. Dahl Jr.’s story is featured in two products of the initiative, led by researchers at the University of California, Riverside: a print anthology, and an interactive digital map of the cemetery populated with more than 500 student-written narratives. After a successful pilot year, the initiative, titled “Along the Chaparral: Memorializing the Enshrined,” will continue for an additional two years, supported by a new contract worth $398,659 from the U.S. Department of Veterans Affairs’ National Cemetery Administration. 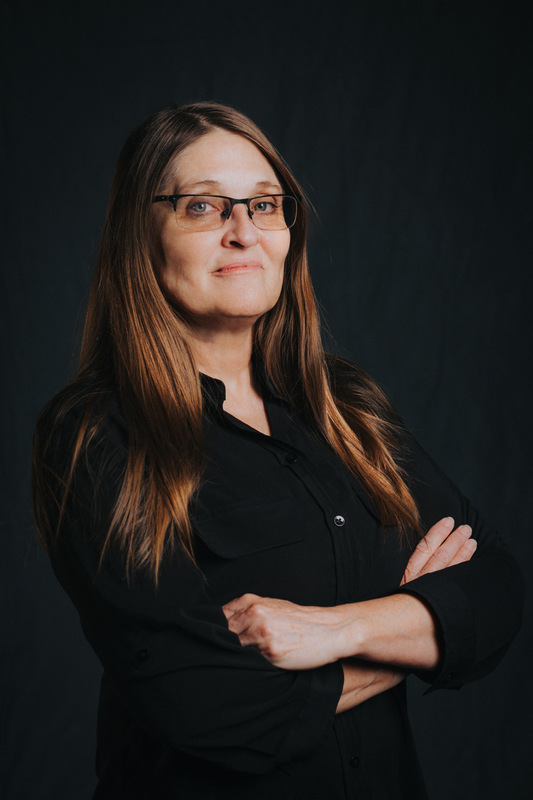 UCR’s Allison Hedge Coke, a distinguished professor of creative writing who oversaw the project in 2018, will continue to serve as its principal investigator through December 2020. Building on efforts established in 2018, Hedge Coke will lead a network of UCR affiliates that includes faculty mentors, graduate student fellows, undergraduate student fellows, and alumni fellows. The project’s 16 recently recruited graduate student fellows will play an integral role in its development through fall 2019, collaborating with alumni fellows and K-12 teachers and students from Riverside Unified and Beaumont Unified school districts, Sherman Indian High School, and Anza, San Bernardino, Palm Springs, and other area schools. In the project’s pilot year, 21 graduate student fellows served more than 2,000 students in over 75 K-12 classrooms throughout the region. Each classroom received six sessions of curriculum focused on the process of researching and writing narratives of the lives of veterans and others interred at Riverside National Cemetery. Going forward, all classrooms served will experience an additional two sessions of instruction, with these sessions geared toward helping students tell more engaging stories, Hedge Coke said. Bryce Carpenter, an educational outreach program manager for the National Cemetery Administration’s Veterans Legacy Program, which administers the “Along the Chaparral” project, described it as one of the nationwide program’s most impressive in terms of scale and scope. “Professor Allison Hedge Coke and her team are doing admirable work to engage more young Americans in telling the stories of the veterans interred at Riverside National Cemetery, celebrating the diversity of the veteran experience of the Inland Empire,” Carpenter said. Just as prolific as the number of students served is their output. In the project’s first year, student-created work populated both the written anthology, published through an imprint of the Inlandia Institute, and the interactive digital map. Developed in partnership with the Redlands-based company Esri, the map is powered by geographic information system, or GIS, technology that makes it easily searchable to visitors. It provides detailed information about those interred at the cemetery and offers explanations of the site’s symbolic landscaping, monuments, and other aspects of the built environment, including Native American influences. So far, more than 500 K-12 students’ narratives have been added to the map’s database, with plans to expand it substantially through 2020. GIS specialist Mike Cohen and Katherine Koziar, a data librarian in UCR’s Orbach Science Library, assisted with the app’s development and implementation, with Koziar heading up the team’s research base. “This application of GIS technology will certainly inform other efforts in cemetery digitization,” Carpenter said. Other products of the project’s pilot year included two series of documentary vignettes and a documentary about the making of the project, all directed by Hedge Coke and filmed by cinematographer Shane Brown; three live performances by K-12 students; a radio play; and a related veterans mural project at Sherman Indian High School. The project has also resulted in an agreement between Riverside National Cemetery and UCR designating the university’s Tomás Rivera Library a receptacle for public-access memorabilia donated to the cemetery by survivors and next of kin. Hedge Coke said some of the project’s biggest benefits, however, have been to its younger participants. She’s proud of the work she and her team have accomplished in helping students gain knowledge and technical skills, get published, and become inspired to pursue higher education. 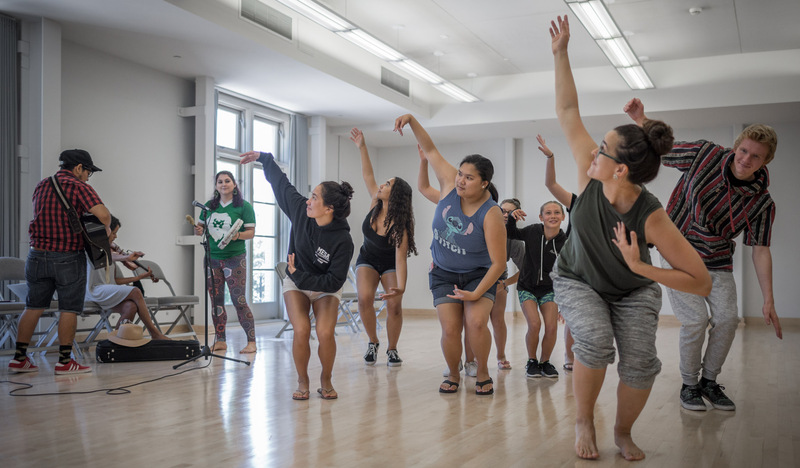 “But the best part of this project is the bridging we’re doing between the university and the local community as a means of helping our K-12 students feel more grounded in their community and figure out how they can be of service to it,” Hedge Coke said. Riverside County, in particular, has historically had high levels of military participation. Because of this, U.S. Rep. Mark Takano (D‐Riverside), a UCR alumnus who represents California’s 41st congressional district, said the need to preserve and share stories of the community’s veterans is a vital one. “Riverside County is home to the country’s eighth-largest veterans population, and their stories of bravery deserve to be heard,” said Takano, who also serves as chairman of the House Committee on Veterans’ Affairs. “I am deeply encouraged by UCR’s dedication to teaching the next generation through the powerful work of remembering those interred at Riverside National Cemetery, and I look forward to following the ‘Along the Chaparral’ project myself,” he added. Nearly 300,000 people are interred at the cemetery — a number not far behind the city of Riverside’s estimated population of around 330,000 people. Due in large part to the area’s strong military ties, many students involved in the project’s pilot year ended up researching and writing about people they had known personally, Hedge Coke said. Jalyn Barnard, who teaches U.S. history at Riverside’s Martin Luther King High School, said the closeness many of her 11th graders felt to the people whose stories they were entrusted with only enhanced the experience. “Many of my students have written about a family member or person they know, and it’s been a wonderful way to honor them,” Barnard said of “Along the Chaparral,” which complements the high school’s existing veterans oral history project, King High Remembers. Barnard said participating in the project was especially rewarding because it allowed her to mourn and commemorate her father, a veteran who recently passed away and is buried at Riverside National Cemetery. This year, she’ll serve as one of the “Along the Chaparral” project’s lead teachers, overseeing a team of Riverside Unified teachers in implementing the initiative in their classrooms. From an academic standpoint, she praised the project as a tool for tying several of California’s Common Core State Standards — including narrative writing, corroboration, and research — into everyday curriculum using untraditional techniques. “As history teachers, we want to tell and preserve stories, and this is a wonderful way to do it while engaging a classroom full of high-school students,” Barnard said. In the case of “Along the Chaparral,” many of those stories reveal not only the complicated realities of military service but the beauty of life’s little details. In Hedge Coke’s view, one of the project’s main successes has been in encouraging students to find the meaning and humanity in simple moments that all too often are overlooked. Maybe someone’s story, for example, is that he really loved taking his daughter fishing, she said. Maybe that’s all it has to be. Maybe that’s life. Along with Hedge Coke, the project’s principal investigator, UCR co-principal investigators participating in the project include: Emily Rapp Black, assistant professor of creative writing; Katie Ford, professor of creative writing; Wesley Leonard, assistant professor of ethnic studies; Keun-Pyo Park, professor of directing and film production; Michelle Raheja, associate professor of English; Jonathan Ritter, associate professor of music; Susan Straight, professor of creative writing; and Clifford Trafzer, distinguished professor of history and Rupert Costo Chair in American Indian Affairs. UCR’s Rebecca “Monte” Kugel, associate professor of history, will conduct a training session. UCR’s Robert Perez, assistant professor of ethnic studies, will serve as a radio host covering the project. Additional partnering UCR entities include UCR Arts; David Rios, UCR Library special research projects director; Brian Geiger, director of the Center for Bibliographical Studies and Research; Joshua Gonzales, director of Native American Student Programs; and Katherine Koziar, a data librarian housed in UCR’s Orbach Science Library.